As cleaning professionals it's important that we understand the basic chemical theory behind what makes certain products work in certain areas. The ability to demonstrate this knowledge during the tender process could be the difference winning the business and not. In this series of Blogs we will be looking at how cleaning agents work and examining the range of different categories of cleaning agents, each of which performs a specific role in the overall cleaning regime. We will look at each of these in the second Blog in the series. But first we will take a look at the origins of detergents. If you look up detergent in the dictionary, it is defined in it’s simplest term as a ‘cleaning agent’. During the last two to three decades, however, the word detergent has tended to imply synthetic detergent rather than the older soap based products. In fact, commercial formulations consist of a number of components and we shall use the term surface active agent, or its abbreviation surfactant, to describe the special active ingredients that give detergents their usual properties. You may well ask why soap, which served well for so many years, was eventually displaced. Soaps are cheap and they are manufactured from a renewable source, whereas many of the synthetic detergents are made from petrochemicals. Soaps are also biodegradable; that is, they are more readily broken down by bacteria, and thus they do not pollute water sources. However, due to their gelling properties, soaps do have a greater tendency to cause blockages in sewerage systems than synthetic detergents. For instance, the drainage outlet from a bath will contain fatty and greasy deposits due to the amount of soap-based products disposed of, whereas a sink outlet, which drains synthetic detergents, will be relatively clear. The most important reason for the displacement of soap is the fact that, when a carboxylic acid soap is used in hard water, precipitation occurs. The calcium and magnesium salts, which give hardness to the water, form insoluble salts with the fatty acid in soap and a curd-like precipitate occurs and settles on whatever is being washed. By using a large excess of soap, it is possible to re-disperse the precipitate, but it is extremely sticky and difficult to move. This problem with soap can be demonstrated by a simple experiment in which a concentrated solution of hard-water salts is added to a 0.1% solution of soap and also to a 0.1% solution of synthetic surfactant. The soap precipitates, but the synthetic surfactant remains clear because its salts are water-soluble. Why Are They Different? What's the difference between a synthetic detergent and soap? In general terms, the difference can be likened to the difference between cotton and nylon. On the one hand, soap and cotton are produced from natural products by a relatively small modification. On the other hand, synthetic surfactants and nylon are produced entirely within a chemical factory. 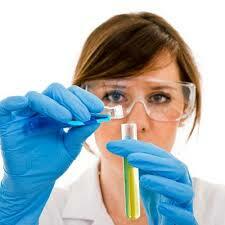 The development of the first detergents came about in an effort to overcome the reaction of soaps with hard water. This provides a good illustration of one of the standard chemical approaches to developing a suitable detergent. If a useful substance has some undesirable property, an attempt is made to prepare an analogue, a near chemical relation, which will prove more satisfactory. 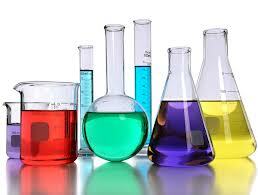 We will look at the various substances added to detergents to increase their effectiveness in later Blogs. To understand how cleaning agents work, we must first grasp the basic principles of soil removal. We have touched on the some of the scientific aspects of cleaning earlier in the Guide; it is important that we understand how this science is applied to the principles of soil removal. 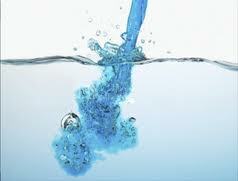 Water, on its own is a poor cleaning agent, as it has some significant limitations. Generally, most cleaning functions rely on a combination of water with another cleaning agent, which will overcome some of these difficulties. In order for a cleaning agent to be effective, it has to gain access to the soil adhering to a surface and either dissolve it or lift it from the surface. Applying water to soil will tend to be ineffective as it will form globules which will not penetrate the surface. The formulation of globules is caused by high surface tension. In order for the surface to be penetrated, this surface tension needs to be reduced. Once soil is removed from a surface, it is held in the cleaning solution. The suspended soil particles must not be allowed to be re-deposited onto the newly cleaned surface. The process of re-depositing soil is called “flocculation”. When the soil particle surface has been penetrated, the cleaning agent will “emulsify” the grease contained within it. This process allows the soil to be partially dissolved and removed from the surface. 1. When “hard” water, that is water with high concentrations of these salts, is combined with soap, the salts form an insoluble scum that reduces its ability to clean and makes rinsing difficult. 2. Calcium combines with fats in the soil and forms a soapy substance that adheres to the surface being cleaned. 3. The calcium and magnesium salts tend to cause flocculation. The properties outlined above will lead to the dissolution of soil particles and allow for effective cleaning. In order to dislodge soil effectively, cleaning solutions can be applied at high pressure. The pressure and temperature of the water as well as the cleaning agent to be used will depend on the nature and type of soiling on the surface to be cleaned. The term detergent can be used to describe any cleaning agent. However, with the range of products available, we tend to use the term to describe those cleaning agents that contain large amounts of chemicals known as “surfactants”. 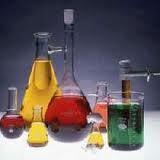 Other chemicals can be added to detergents to increase their effectiveness in given situations. An ability to reduce the surface tension of water. An ability to emulsify soil and lift it from the surface being cleaned. An ability to suspend soil particles in a solution. To be soluble and remain effective in cold water. To be soluble and remain effective in hard water. To be harmless to the user when used correctly. To not cause damage to the surface being cleaned. To be easily rinsed from a surface and leave no streaks or deposit. Keep an eye out for the follow up blogs!